Considerable amounts of press coverage has been give to the opioid crisis running rampant across the United States. The causes for the epidemic point to the over prescription of opioids, adverse and unchecked marketing schemes by drug companies and their partners in the insurance industry. What has not been covered as much is the correlation between addiction and homelessness. Homelessness in part is caused by the lack of adequate mental health funding and facilities, substandard and grossly inadequate wages, and improper funding of the U.S. Department of Housing and Urban Development (HUD). Homeless people are still seen and termed as drunks and junkies, instead of real people with real problems. Homeless counts are notoriously inaccurate, still, the national count in 2015 found 222,197 homeless households with at least one child. 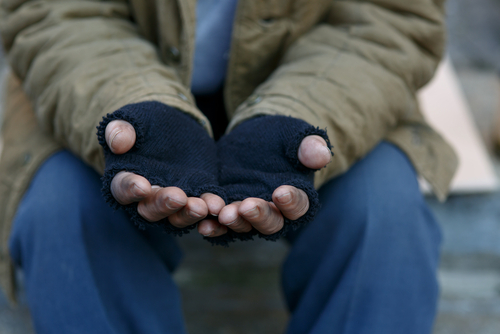 The Department of Education reported 1.2 million homeless children in schools. As recently as March 2017, the Trump administration considered more than $6 billion in cuts at HUD, according to preliminary budget documents obtained by The Washington Post. Experts agree these cuts will be devastating to those in need of adequate housing, let alone the homeless with mental health issues. Yet, HUD Secretary Ben Carson worries those needing assistance could use HUD as “a way of life”. People with mental health problems, including those abused and traumatized earlier in life, can become addicted to alcohol and drugs to relieve disorders like anxiety and depression. They are unable to work, and they need help. Many live outside in rural areas or the city. Recent research shows the homeless rates in the United States can’t adequately be counted because people and families with small children, couch surf from family to friend and back again. If you someone you know is struggling with drugs and alcohol, Serenity Oaks Wellness Center can help to get you sober. Our 12-Step aspects and holistic therapy can show you how to adorn your soul in recovery. « From Addiction to Sobriety — What Will Make the Difference for You?